Do Guns Make Us Free? The story of the American West is the story of a relentless quest for a precious resource: water. It is a tale of rivers diverted and dammed, of political corruptions and intrigue, of billion-dollar battles over water rights, of ecologic and economic disaster. 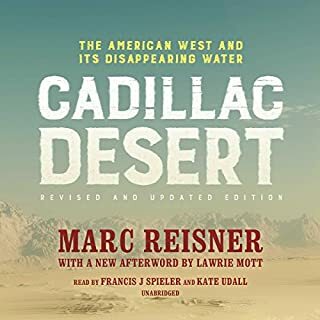 In Cadillac Desert, Marc Reisner writes of the earliest settlers, lured by the promise of paradise, and of the ruthless tactics employed by Los Angeles politicians and business interests to ensure the city's growth. He documents the bitter rivalry between two government giants to transform the West. The life story of the most controversial, volatile, misunderstood provision of the Bill of Rights. At a time of increasing gun violence in America, Waldman's book provoked a wide range of discussion. This book looks at history to provide some surprising, illuminating answers. The Amendment was written to calm public fear that the new national government would crush the state militias made up of all (white) adult men - who were required to own a gun to serve. Waldman recounts the raucous public debate that has surrounded the amendment from its inception to the present. A provocative history that reveals how guns - not abortion, race, or religion - are at the heart of America's cultural divide. Gunfight promises to be a seminal work in its examination of America's four-centuries-long political battle over gun control and the right to bear arms. Adam Winkler uses the landmark 2008 case District of Columbia v. Heller, which invalidated a law banning handguns in the nation's capital, as a springboard for a groundbreaking historical narrative. Excellent, well researched and thought provoking. From Jackie Robinson to Muhammad Ali and Arthur Ashe, African American athletes have been at the center of modern culture, their on-the-field heroics admired and stratospheric earnings envied. But for all their money, fame, and achievement, says former New York Times columnist William C. Rhoden, black athletes still find themselves on the periphery of true power in the multibillion-dollar industry their talent built. 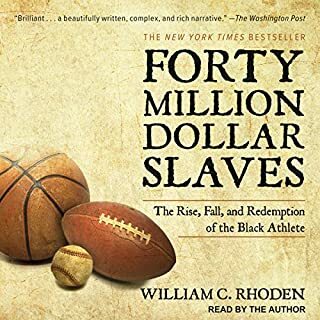 Provocative and controversial, Rhoden's Forty Million Dollar Slaves weaves a compelling narrative of black athletes in the United States. This illuminating study traces the transformation of the right to arms from its inception in English and colonial American law to today's impassioned gun-control debate. 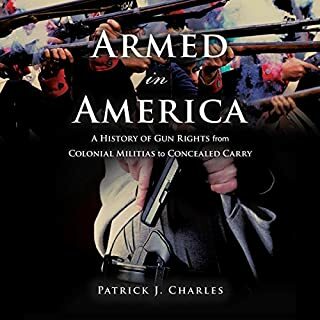 As historian and legal scholar Patrick J. Charles shows, what the right to arms means to Americans, as well as what it legally protects, has changed drastically since its first appearance in the 1689 Declaration of Rights. Armed in America explores how and why the right to arms transformed at different points in history. The right was initially meant to serve as a parliamentary right of resistance. Not only can gun rights and rules coexist, but they have throughout American history. Guns Across America reveals the long-hidden truth: that gun regulations are in fact as American as apple pie. Possibly the most emotionally charged debate taking place in the United States today centers on the Second Amendment to the Constitution and the rights of citizens to bear arms. In the wake of the Sandy Hook school massacre in Connecticut, the gun rights movement, headed by the National Rifle Association, appears more intractable than ever in its fight against gun control laws. The core argument of Second Amendment advocates is that the proliferation of firearms is essential to maintaining freedom in America, providing private citizens with a defense against possible government tyranny, and thus safeguarding all our other rights. But is this argument valid? Do guns indeed make us free? In this insightful and eye-opening analysis, the first philosophical examination of every aspect of the contentious and uniquely American debate over guns, Firmin DeBrabander examines the claims offered in favor of unchecked gun ownership. By exposing the contradictions and misinterpretations inherent in the case presented by gun rights supporters, this provocative volume demonstrates that an armed society is not a free society but one that actively hinders democratic participation. The book is published by Yale University Press. More discussions regarding Gun rights are needed. Would you listen to Do Guns Make Us Free? again? Why? for both sides of this very important issue. What was one of the most memorable moments of Do Guns Make Us Free?? Have you listened to any of Gary D. MacFadden’s other performances before? How does this one compare? No.......... but he is a pro and did a good job. What does gun rights mean in a modern Democratic country ? From a liberal's perspective, an attempt to depict both sides of the 2nd ammendment. It drew me in at times and asking myself why I am doing this to myself on others. 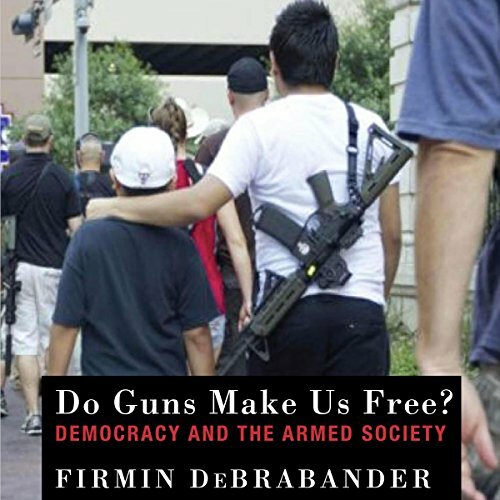 Firmin DeBrabander has put together a fine deconstruction of the pro-gun argument, as well as a defense for changing gun laws, and why we are likely not safer by having guns, and open carry etc. He looks at it from practical, legal, social, psychological and philosophical positions. And he presents a very strong argument. It's well reasoned, informative, and interesting. It is also well researched and well written. The main issue I have with the book is it is one sided. DeBrabander deconstructs the pro-gun argument, but using quotes from the pro-gun position. It is him presenting his understanding or what they are arguing, and I know that at least one of his points of understanding is off - or at least the way he presents the argument is not the way I have understood it when I have heard it. 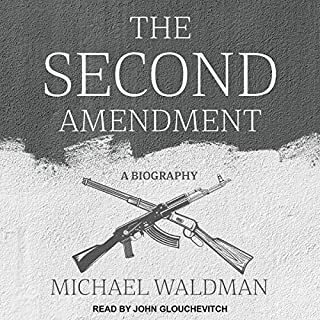 with his telling us what their position is, rather than having a pro-gun writer make their position directly, the book opens itself to potential strawman arguments. The lack of a right-of-reply to some of his points also means that we do not get a balanced argument here. 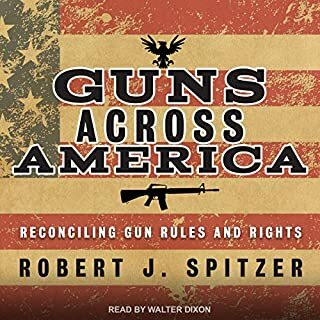 I would have preferred to have more input from the book from someone pro-gun, at least to confirm that he is arguing against what their positions actually are, and then maybe (although this maybe isnt the right place for it) a short response chapter after each argument. More like a controlled, written debate. rather than a one sided monologue. This would have been particularly useful in the sections dealing with the understanding of the reasons for the second amendment and the right to protect oneself against the government. As for my bias, I am from Australia, where a gun buy back scheme was run after a mass shooting in 1996 and gun laws were locked down. You can own guns, but not semi or fully auto and guns have to be kept in secure gun safes (with bullets stored separately). You can count the mass shootings (defined as 4 or more people shot) since 1996 on one hand. America has has hundreds just in the first half of 2018. I am an advocate for the Australian laws, and believe America must do something significant if anything is going to change. Narration by Gary D. MacFadden is good. well paced, easy to listen to, and clear. He does a very good job with the heavy text. I was hoping this would be a true debate on guns and gun control. 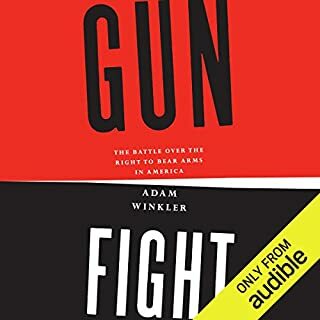 I was hoping the author would give both sides of the story, that of the gun owner and those who oppose them.This book comes across as preachy and one man's determination to make everyone see his point of view about guns. If you truly want to know what laws about guns there are then look it up on the internet! He gives false information about the laws and doesn't offer the truth. I am pro-gun but I also think the system could do better in who is allowed to have the guns. However, there will never be a way to completely control gun ownership. If a gun is wanted bad enough, a way will be found to get it! One thing to remember is that guns do not kill people, people kill people. Without someone to load the gun and pull it's trigger, it is just an inanimate item, nothing more, nothing less. If you truly want information about what is happening in gun control today, please do your own research and find out the truth and facts! Do not take someone else's idea of truth and facts as your own, they may be wrong. If you’re looking for lilting prose that waxes poetically about guns and our need to possess them or ban them “Do Guns Make Us Free? Democracy and the Armed Society” is not the book for you. If, however, you want a fact-based, mutli-faceted scholarly discussion of one of the most critical issues facing the U.S. today then, by all means, read on. Yes, this book deals with the issues and people you’ve heard before but it also ties in different angles and perspectives like what is the meaning of militia both then and now. There are issues here that, regardless of which side you come down on, should be heard. We all need to arm ourselves with the truth, pun intended. And Gary MacFadden does the work justice by keeping an overall serious tone in his narration.